BOOKS AND ME! : Matt Haig and his Christmas books! The reading slump has come to an end!! And I have the wonderful author Matt Haig to thank! I had bought his 2 recent Christmas books for my nephew and niece so thought I'd read them before wrapping them (that's allowed right??!) and I have had such a blast reading them both today that I'll be buying my own copies for sure!! Because this book is FULL of impossible things. Then let us begin . . .
A Boy Called Christmas is a tale of adventure, snow, kidnapping, elves, more snow, and an eleven-year-old boy called Nikolas, who isn't afraid to believe in magic. It is IMPOSSIBLE not to love this book! 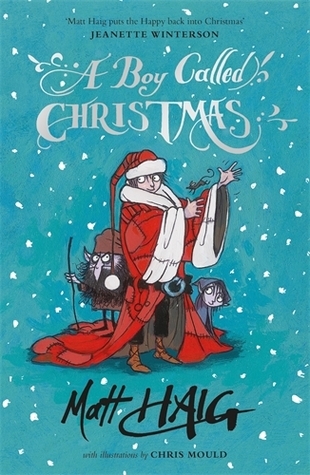 OK, if you are the Grinch or particularly fond of 'Bah Humbug' hats at this time of year, then there is a chance you may not love it BUT there is enough magic and wonder in this story to warm even the grumpiest of souls!! A story of a young boy called Nikolas who is living with his father after the death of his mother, and when his father goes away on a job to help raise much needed funds for them both, Nikolas pleads with his dad to stay saying that he would rather be happy with him than have the money. A simple concept but one that adults lose sight of! While his father is away, Nikolas is looked after by his awful auntie Carlotta. He soon runs away unable to live with her wicked ways and heads out to try and find his father. And this is where the magic of Christmas begins and how Father Christmas came to be and is an absolute delight to read - whatever your age! Lots of fun and quite moving at times too. Beautifully illustrated too which adds to the enjoyment so can highly recommend it as your Christmas read! 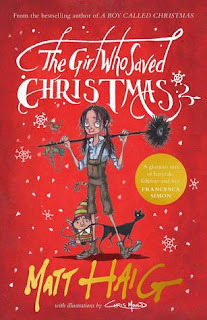 This is the sequel to A Boy Called Christmas, but can easily be read as a stand alone book but I'd highly recommend reading both as they are a pure Christmas delight! Love the messages that are running through this book of helping one another and the power of believing. Also really enjoyed seeing various historic figures featured such as Charles Dickens and Queen Victoria! They believe!! Another beautifully illustrated book and full of so much warmth, fun and hope. A must read for kids of all ages!! So if you are looking for books that capture the wonder of Christmas and the power of believing, then I point you in the direction of these two wonderful stories and hope you and the little people in your life get as much enjoyment out of them as I've done today!